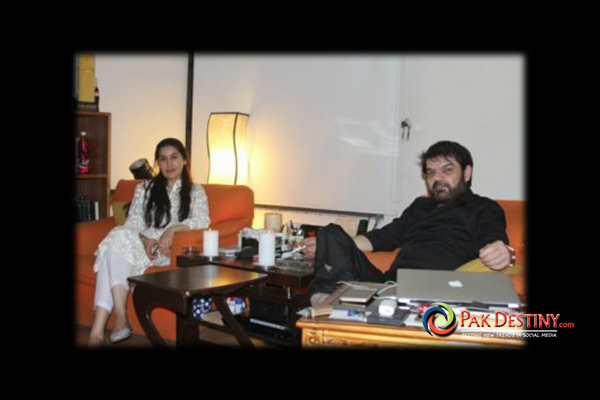 (Pakdestiny.com) Blasphemy accused and actor Veena Malik wants to be an Islamic scholar like Junaid Jamshad. Many wish her new plans do not turn out to be a mere ‘media attention seeking tricks’. The other day Veena visited Jamia Binoria al Aalmia in Karachi and expressed her wish to receive education from the Islamic institute. 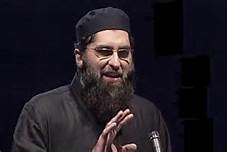 “I had started reading Islamic books given to me by Junaid Jamshed when I was expecting after which I decided that one day I will seek Islamic education from Binoria University,” she said while visiting the seminary at the Karachi’s SITE area along with her husband Asad Bashir Khattak. “I also want my son to become Hafiz-e-Quran [the one who memorises the Holy Book],” she added. The infamous actor and her husband met local as well as international students in the girls’ section of the institution. During the visit, the couple, along with the head of the varsity, Mufti Muhammad Naeed also spoken to the reporters.